Resident Evil 2 hiding a new Game Plus Mode among zombies? Resident Evil 2 might be hiding more than just zombies and ghostly creatures as it turns out the demo version of the game was decoded and users have found out strange new files that could be a new feature. 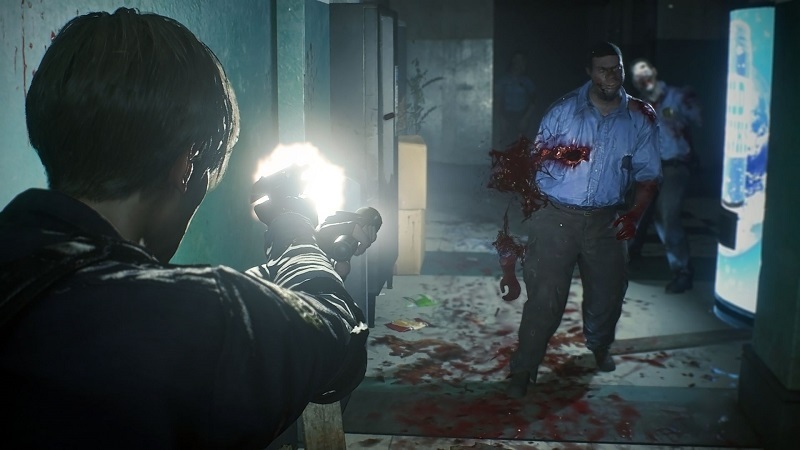 When the demo for Resident Evil 2 dropped players were rushing through it to complete the one-shot demo within the 30-minute time slot given to it but few others were digging deep within the file systems to uncover more details about the game, as it turns out few details have emerged because of this. Resident Evil 2 new Game Plus Mode? The game features playable characters like Leon and Claire, but there seem to be files named as “Leon A” and “Leon B” as well as “Claire A” and Claire B”, which drives up the rumours that the game might feature a new game plus mode. Considering the fact the game is only about five to seven hours long in the story mode itself, it makes sense to add new game modes to keep players hooked on the game after the completion of the main storyline. The new modes have not been officially announced as of yet but the last edition Resident Evil 7 did feature a game plus mode so it makes sense to believe that this too might get the feature. Another thing found buried deep among the files of the game are references to a mode called “Rogue” which has a costume select, rankings, a shop system, and more. However, it’s possible this is just residentevil.net’s stat trackers, also there seems to be a new camera select option when beginning the campaign, which though is vague but we’re hoping this could be the big new mode Capcom has previously been teasing. Additionally, there are a plethora of files such as all the different characters, weapons, difficulty modes, and much more. Though not concrete information is available at the moment so maybe this can be just something the developers are testing which may or may not make it to the final game. Resident Evil 2 is in development for PlayStation 4, Xbox One, and PC, and is scheduled to release worldwide on January 25.